In the younger days of Blizzard has always been decently slow at rolling out good sequels to its largest properties. Warcraft was launched in 1994. Sure, Warcraft II: Ties of Darkness came out the following year, but separating Warcraft II and Warcraft III: Reign of Chaos was a chasm of seven years during which time where was an expansion in 1996 and battle.net made available in 1999. In 2002 Warcraft III launched, followed a year later by an expansion, The Frozen Throne then followed even still in 2004 by World of Warcraft. 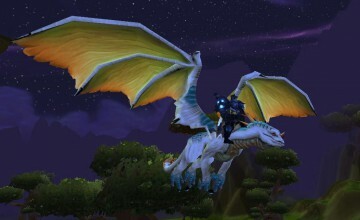 World of Warcraft is a game that is hard to be classified. It's not necessarily a sequel. It takes on the same story, but it's completely different gameplay and follows many separate story lines. But that is neither here nor there. Diablo, which made its debut in 1997, separated Warcraft II and the much beloved Starcraft. In what is a move that defies present company strategy, they released Diablo II three years later with a sequel in 2001. We are still eagerly anticipating Diablo III. Starcraft, which launched in 1998 receive its sequel twelve years later with Starcraft II: Wings of Liberty in 2010. Let's contrast Blizzard and the release of its sequels with BioWare. Perhaps the first big BioWare game to get a true sequel was Baldur's Gate, released in 1998. It took two years later for the awesome sequel, Baldur's Gate II: Shadows of Amn to be released and it is still a game I love to play. Though not technically made by them, the 2003 game, Star Wars: Knights of the Old Republic had a 2004 sequel produced at their suggestion by Obsidian. Mass Effect was released in 2007 and saw a sequel in 2010. 2009's Dragon Age: Origins saw a sequel this year which I am still trying to get through and have finally entered the third act in because Flying Spaghetti Monster knows I have no free time to finish it. When considering the differences between the sequels and between the company's methods, I often sit down and ponder over the advantages each one affords. Certainly, Blizzard's methods can be more frustrating for us gamers. Sitting here and reading about the awesome classes that are going to be in Diablo III when it DOES release over a decade after its predecessor is painful. I want to play that game! Yet I can appreciate Blizzard taking its time with the games when they produce such amazing sequels like Starcraft II and Warcraft III. Both of those games I looked at and thought "Yeah, this is a true sequel." On the other hand, BioWare's two biggest sequels in recent memory were fun, dynamic, and a little disappointing. Each sequel looks prettier than its predecessor, and certainly changes gameplay up a little bit, but I ultimately feel like I received less of a game. By less of a game, I'm not talking about in time. Sheer numbers in, Mass Effect II and Dragon Age II consumed exorbitant amounts of my time each. The sequels were still in a way stripped. Mass Effect II had more areas to explore but less ways to do the exploring and less fun ways to customize my characters' equipment. Dragon Age II had the same environments repeated and I sort of feel like I'm in the bottle episode of Community. I can appreciate that the sequels came out with relative speed and the stories are certainly still engaging which is what really keeps me hooked on their games. I just wonder if a little more time and retaining and refining some of the original features and open-ended environments would have let me enjoy the games more. What are your opinions when it comes to sequels? 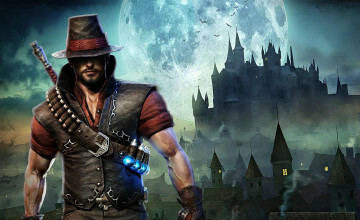 The Victor Vran Review: Does the Demon Hunter Hit His Mark?